A large range of authentic Indian furniture in a wide range of styles from the traditional jali with its portcullis iron work to the more contemporary Mansa ranges that have much cleaner lines and a lovely warm colour. 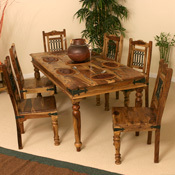 All of our Indian furniture is manufactured in northern India from solid timber, either Sheesham, Rosewood, Mango or Acacia wood depending on the range. From the classical Indian furniture first seen 20 years ago which has steadily grown in popularity mainly because of the immense character it offers. Every single piece is individually made and this really shows in the finished article. There is nothing quite like Indian furniture as is has a well lived look and the small imperfections add to the character. 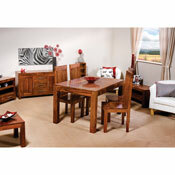 Indian Bedroom Furniture with a style all of its own, rich and inviting for that perfect relaxed nights sleep. Heavy and robust Sheesham wood being one of the most durable timbers in the world, extremely hard and dense with a unique character all of its own. With some distinctive Indian bedroom collections with their own individual features. We have some great collections that would look superb in your dining room or kitchen from the practical and hard waring hand made Jali Sheesham to the Mansa Mango. 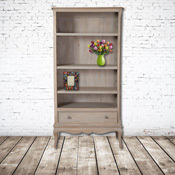 A good selection of everything you could possibly need from bookcases, display cabinets and sideboards to mirrors and cube units, there is sure to be something that fits the bill. 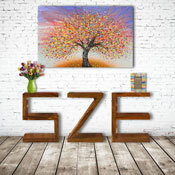 Need something to fill a gap in your living room? Something to put a lamp on? Maybe somewhere to house your TV and AV equipment. 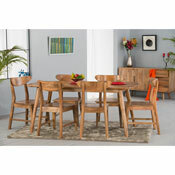 If you are looking for something that oozes charm and character then you have come to the right place. 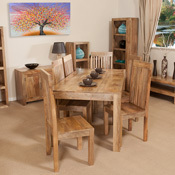 All of our furniture is hand made and very robust so you can be sure you won�t be disappointed with whatever you purchase. There has been quite a trend over the past few years for people to be working from home, in fact home office is the fastest growing sector in the furniture industry. Fed up with dull office furniture? We have a range of desks and a filling cabinet along with some storage ideas that may make you want to do some work as they are such a pleasure to work at!! You spend more time in the bedroom than any other room in the house so why not splash out and treat yourself to some stunning new bedroom furniture. 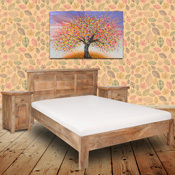 All of our bedroom furniture collections are available with either a double or kingsize bed and we have some different designs that are quite unique. 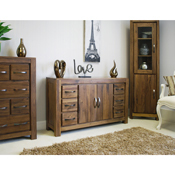 Go on make going to bed a pleasure and invest in furniture that will last for years to come. The centre piece to any dining room or kitchen which means the dining table is an important choice, style being the main factor but also size being just as critical. 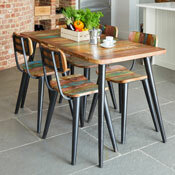 We have a wide range of styles to suit nearly every style of room in various finishes with most tables being available in several sizes to accommodate between two and eights seats. Useful for many parts of the home where space is a little tighter and not quite enough for a sideboard. 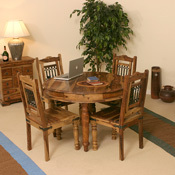 Console tables are ideal for hallways, smaller dining rooms and lounges. Available in Sheesham, Mango, Acacia and Oak in a variety of styles, with drawers and without and even a curved half moon. All hand made with traditional techniques including dovetailing and hand finished. 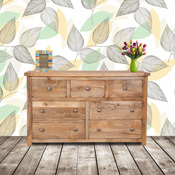 The ever useful chest of drawers, what would we do without them? You always seem to have more stuff than chests of drawers to put it in so why not add some more room with our great selection of chests with wide, narrow and tall you are spoilt for choice. Whether it is a traditional look you are after or something a little more unusual you are sure to find exactly what you a looking for. Sideboards in so many different styles that all have one thing in common, hand made and all stunning in their own right. Jali with its portcullis iron work, cube with its simple styling and oak sideboards with a choice of handles, there really is something for everybody. Sideboards that are not as deep designed for smaller spaces and a whole host of different design features that are sure to impress. 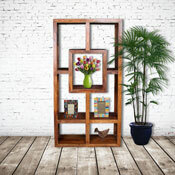 So many bookcases and displays to choose from whether you are after something that is quite traditional or something a little more modern and contemporary. 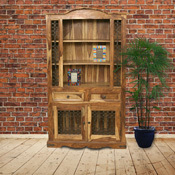 We have both available in Indian and Oak styles. All hand made to exacting standards and finished totally by hand in a range of finishes. A range of clever storage cubes in Sheesham and Oak are also available. 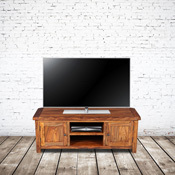 TV Cabinets and entertainment units have evolved over the past few years, as displays have been getting larger and larger cabinets have had to follow suite. 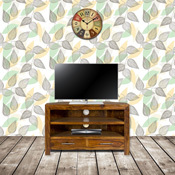 This is why we now offer so many different plasma TV cabinets. For those who prefer something a little more traditional we also do those as well. Who would be without the humble coffee table, they form part and parcel of every day life, whether this is a coffee table as a centre piece in you living room or a more functional nest of tables of simply a table to put a lamp on. Amongst the collections are trunks for that all important extra storage. Either traditional or modern in styling we we undoubtedly have one that fits in perfectly. 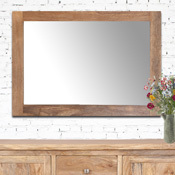 Find the perfect mirror, we have some stunning Jali Gothic Arched mirrors which really make a statement to the more traditional mantel rectangular mirrors. You can never have enough mirrors and they can create a feeling of a room being bigger than it actually is, so wise use can have a dramatic effect. 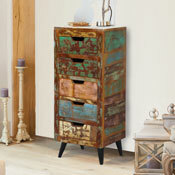 Available in a range of styles and finishes so there will be something that fits in with you room. 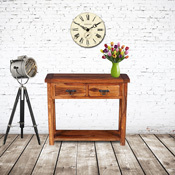 A collection of Retro Contemporary Furniture which is simply timeless. 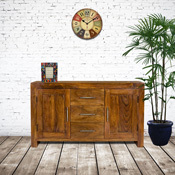 Made in India with truly classic design in Reclaimed and Mango wood there is something very special indeed about our Retro Collections. Developed in the 1960's these designs have been adapted to suite modern living. Hand made and finished to exacting standards. Some simply stunning solid Walnut furniture made to very exacting standards and finished by hand with a simple stain and satin lacquered finish for that extra bit of durability. All of our Walnut furniture is manufactured from 100% solid Walnut with no veneers or cheaper timber used anywhere in its construction. Walnut really is a beautiful timber with a very dense structure and grain patterns. 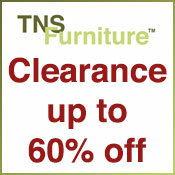 Up to 60% discount off our normal prices for end of line furniture, customer returns and furniture that is slightly damaged. All items in the clearance section are non returnable. Within the description any faults with the item will be explained. Faults may include some splitting, stuck drawers, dents and scuffs all of which are easily repairable and the price will reflect what is wrong if anything.